Hey everyone and welcome to another Friday FOTM report! This week's report isn't about a champion, but instead about a recent meta change. In the last few months, more and more mid laners are opting to pick up teleport rather than Ignite or Heal/Barrier. Running teleport mid lane allows them to quickly blow their mana early and still return to lane to soak experience. As long as a mid laner can survive the burst trades with their opponents, they can gain an experience advantage by being in lane longer. Certain champions have excellent early game roaming power pre-6. 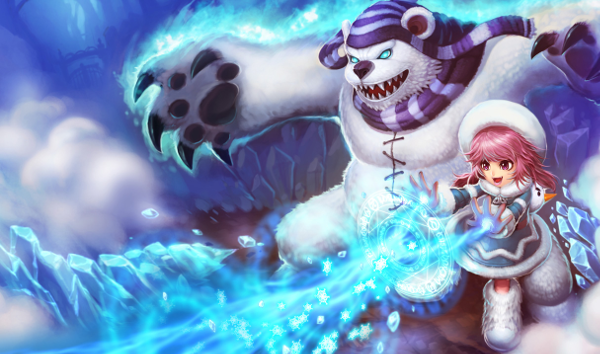 By running teleport mid, champions like Annie, Twisted Fate, or Brand can make extremely high impact plays early in the game while their tower isn't in danger of getting crushed by a level 3 opponent. The fact that they're the mid laner rather than the top laner also means that they can return to lane faster and avoid losing too much experience in lane. Later on in the game, running double teleport allows the team to simultaneously push at multiple points. Although this does make it easier to get caught out, it also allows both mid and top laner to quickly push lanes and still have good positioning for objective battles. As a mid laner, the primary purpose for most is either as a burst damage dealer or a poker. Giving a long range poke based champion like Ziggs or Lux teleport won't hurt their effectiveness much. However, the lack of an ignite may be the difference between a kill and a death, especially against certain match-ups like Swain. For low HP champions facing off against assassins, they generally like to run either Barrier or Heal to prevent getting burst down instantaneously early on in the game. By running teleport, they forego this benefit, and may just be allowing the enemy laner to kill them more often instead. Running teleport on certain champions may make sense if your allied laners have good crowd control to keep them from running. It allows for excellent team-based play and can quickly snowball into double kills and dragons. However, it does take more finesse to use successfully and may depend on your teammates for maximum success. As a result, I wouldn't say it's a "must" for solo queue at the majority of divisions, although it's trending in the direction of 5-man ganks bot. Ouch. What do you think about the mid lane teleport meta? Here to stay or passing fad? Comment below!